SCVHistory.com | People | The Brothers Lyon and Their Stagecoach Station. The Brothers Lyon and Their Stagecoach Station. Traversing the border between Newhall and Valencia, and stretching from the fast food restaurants of "Hamburger Hill" along Interstate 5 to the tracks at Railroad Avenue, is a road named after two brothers from Maine who became early pioneers of the Santa Clarita Valley. Some have claimed that "Lyons" Avenue is actually a misnomer, as it is named for Sanford and Cyrus Lyon. The Lyon brothers were twins born to Henry and Betsy Lyon in Machias, Maine, in 1831. Their ancestor, another Henry Lyon, had emigrated to the English colony of Connecticut in 1648. As with many of California's pioneers, the Gold Rush lured the Lyon brothers away from their east coast home in 1849. They traveled on a ship named Oxnard from Maine, taking the long way around Cape Horn at the tip of South America. Instead of following the usual route to the gold fields of Northern California, the brothers ended up in the tiny pueblo of Los Angeles where they first worked as clerks at Alexander and Mellus, a mercantile store partly owned by their first cousin, Francis Mellus. After a few years, Sanford and Cyrus had bigger plans. In 1855, a stage depot that may have been built by Henry Clay Wiley in 1852 at the base of the Fremont Pass on the Rancho San Francisco was up for sale. Thought to be located somewhere in the vicinity of present day Eternal Valley Cemetery, the depot was purchased by the brothers and renamed Lyons Station  the first American business in the Santa Clarita Valley. Recognizing the need for an overland mail route to California, John Butterfield established the Butterfield Overland Stage Route with its first run from Tipton, Mo., to San Francisco on Sept. 16, 1858. Lyons Station became a regular stop on the famous Butterfield route. Contemporary reports claimed the Fremont Pass was the most difficult crossing of the entire route. Butterfield was forced out of the business in 1860, when the route was taken over by Wells Fargo. In anticipation of the Civil War, Congress voted to discontinue the southerly Butterfield Route in March 1861, replacing it with the Central Overland California Route between St. Joseph, Mo., and Placerville, Calif.
Lyons Station, which started as a meal and rest stop on the Butterfield line, eventually grew into a multi-use complex consisting of a depot, tavern, store, telegraph office and post office. While Sanford primarily took care of the business at Lyons Station, Cyrus led a busy life in the Los Angeles pueblo. The Los Angeles of the early 1850s represented the epitome of the Wild West and was considered the most dangerous town in America. A volatile mixture of American and Irish gold seekers, Mexicans, Californios and Native Americans resulted in an astounding 44 homicides between July 1850 and October 1851 in a town with a population of about 1,600 people. By 1853, the law-abiding citizens of the pueblo had had enough. During the tenure of Mayor Ygnacio Del Valle, a volunteer mounted police unit called the Los Angeles Rangers was established and partly funded by the state Legislature. One of the founding members of the Rangers was an Indiana-born Southerner, Horace Bell. Bell had come to California seeking gold in 1850. He moved down to Los Angeles two years later where he married a Californio woman and became active in politics. After helping form the Rangers, Bell appointed 21-year-old Cyrus Lyon as a Captain. 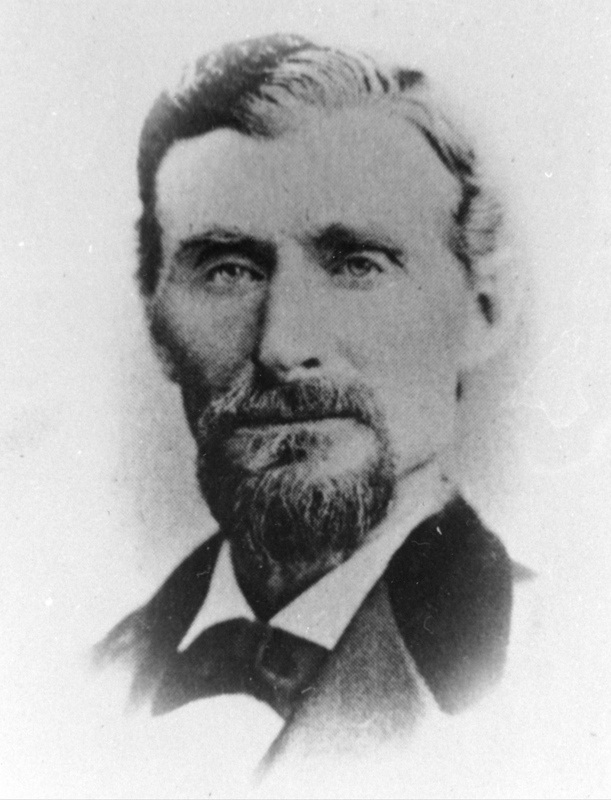 Another captain was William W. Jenkins, a future resident of the Santa Clarita Valley and participant in the long-running Castaic Range War. The 60 active members of the Rangers, under the command of Captain A.W. Hope, served as a relentless fighting unit, which effectively cleaned up the lawless streets of Los Angeles within two years. Lyon was considered one of the most efficient of the Rangers. Bell later wrote the first book published in Los Angeles, a memoir of his life in the pueblo called "Reminiscences of a Ranger" (1881). During the 1850s, Cyrus Lyon also became one of the first American property owners in Los Angeles and the San Fernando Valley with purchases in the Ranchos Cahuenga, Los Feliz and Providencia. Cyrus was to have a son, Jose Enrique, known as Henry Lyon, whose mother was Californio native Nicolasa Triunfo, a descendant of one of the original 11 families who settled Los Angeles in 1781. A present-day descendant of Henry and great-great-granddaughter of Cyrus Lyon, Victoria Carrillo Norton, has spent many years compiling a genealogy of her family and has provided much of the information that we know about the Lyon brothers today. 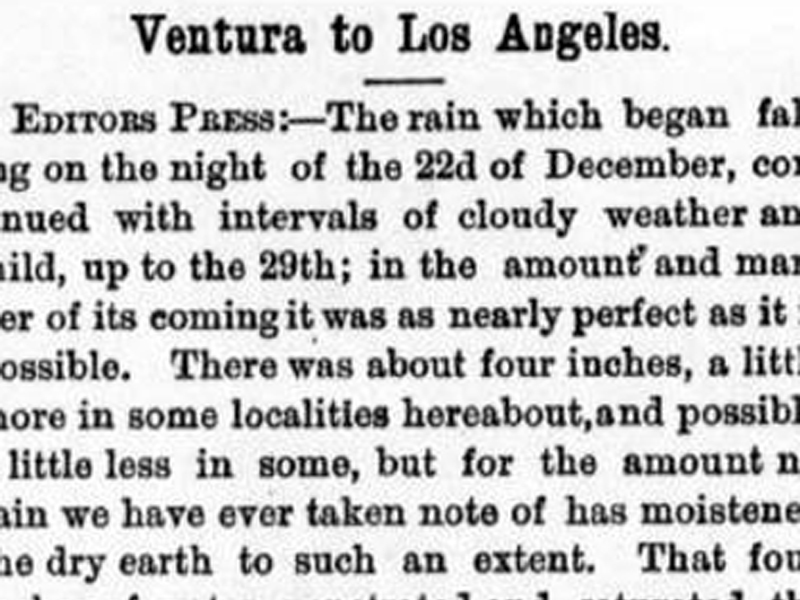 "We left Los Angeles early one afternoon, and made our first step at Lyons's [sic] Station, where we put up for the night. One of the brothers, after whom the place was named, prepared supper. Having to draw some thick blackstrap from a keg, he used a pitcher to catch the treacle; and as the liquid ran very slowly, our sociable host sat down to talk a bit, and soon forgot all about what he had started to do. The molasses, however, although it ran pretty slowly, ran steadily, and finally, like the mush in the fairy-tale of the enchanted bowl, overflowed the top of the receptacle and spread itself over the dirt floor. When Lyons had finished his chat, he saw, to his intense chagrin, a new job upon his hands, and one likely to busy him for some time. "Departing the next morning at five o'clock we met Cy Lyons [sic], who had come to Los Angeles in 1849 and was then engaged with his brother Sanford in raising sheep in that neighborhood. Cy was on horseback and had two pack animals, loaded with provisions. ‘Hello, boys! where are you bound?' he asked; and when we told him that we were on our way to Fort Tejón, he said that he was also going there, and volunteered to save us forty miles by guiding us over the trail. Such a shortening of our journey appealed to us as a good prospect, and we fell in behind the mounted guide." In addition to his enterprise at Lyons Station, Sanford Lyon became an active participant in the birth of the oil industry in Pico Canyon. As early as 1854, Sanford, along with Jenkins and Placerita Canyon gold discoverer Francisco Lopez, visited Pico Canyon to see (according to Jenkins) "the oil springs, from whence the Mission San Fernando took the oil in rawhide bags to the mission where it was distilled for lighting purposes." By the mid-1860s, former Pennsylvania military surgeon and Los Angeles chemist Vincent Gelcich began advising some of his friends to file claims in the oil rich canyons of the Santa Clarita Valley. From these claims were born canyon names such as Wiley, Rice, and Towsley. Although there is no definite evidence of any official claims by the Lyon brothers, Lyon Canyon (just north of Towsley) became the brothers' namesake. The canyon may actually have gotten its name in 1880 when Sanford purchased 110 acres of the canyon from the federal government. 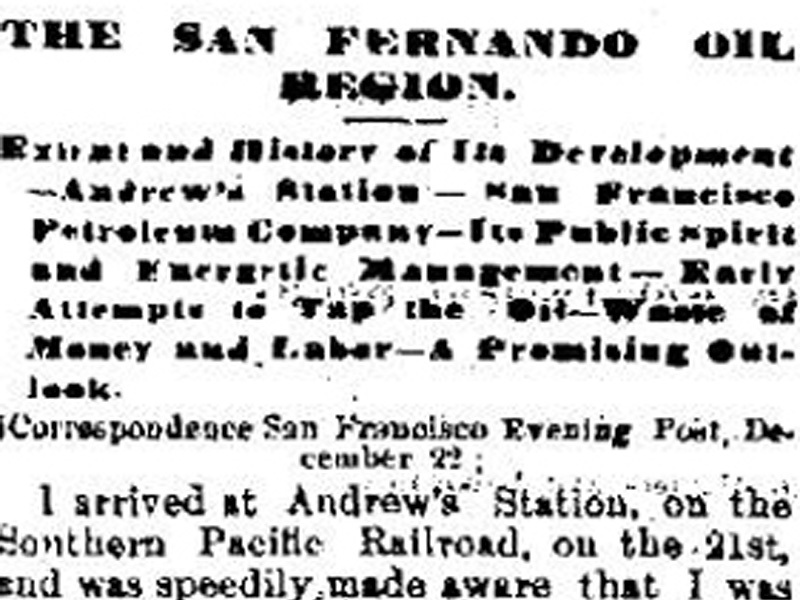 In 1865, Sanford teamed up with Edward F. Beale, Andres Pico and others to form the first Star Oil Co. with the intention of building a refinery based on a process developed by Gelcich. By January 1869, Sanford, Jenkins and Wiley had sunk the first oil well in Pico Canyon using the spring-pole method. Based on Sanford's involvement in the oil industry, a post office with the name Petroleopolis was set up at Lyons Station in 1867. The Petroleopolis post office operated until 1871 with Sanford Lyon acting as its postmaster beginning in 1869. The refinery designed by Gelcich was finally built at Lyons Station in 1874. It was unable to produce smoke-free kerosene and was a failure, taking down with it the Star Oil Co.
Seemingly a man of many talents, Sanford also became involved with mining claims in the Soledad Mining District in 1870 and made an unsuccessful bid to become county supervisor in 1880. The downfall of Lyons Station began in 1876 with a dispute between Sanford Lyon and his Polish immigrant employee, Andrew Kazinski. Kazinski would have the last laugh as he departed from Lyon's employment and set up his own station in Railroad Canyon (now Pine Street). Unlike Lyon, Kazinski had the foresight to see the coming of the Southern Pacific Railroad as it was headed for completion at Lang Station. A month before the Golden Spike ceremony in Soledad Canyon, Andrews Station (taking Kazinski's first name) was completed along the Southern Pacific railroad tracks and was ready to handle the commerce brought in by the new railroad. Bypassed by the railroad and no longer needed as a stagecoach stop, Lyons Station was choked off and died. The California Star Oil Co., having been formed earlier in the year, moved the remains of the failed refinery at Lyons Station to Andrews in August 1876. They ultimately added three additional stills at the site. The next month, Alexander Mentry brought in a gusher as he deepened the first commercially successful oil well in the West at Pico Canyon. The prolific flow of oil from Mentry's California Star Oil No. 4 well was sent by pipeline to Andrews Station where it was processed at the newly created refinery. Now known as the Pioneer Oil Refinery  the first productive oil refinery in the West  the stills at Andrews Station remained in operation until 1888 when a big, new refinery was built at Alameda. The remains of the Pioneer Oil Refinery, now the oldest existing oil refinery in the world, can still be seen on Pine Street. The California Star Oil Co. eventually evolved into the Standard Oil Co. of California. The story of the Lyon brothers of the Santa Clarita Valley ended with the death of Sanford at age 51 in 1882, and of Cyrus 10 years later at age 61. Sanford is buried in the Pioneer section of Eternal Valley Cemetery in Newhall, while Cyrus resides at Evergreen Cemetery in Los Angeles. Lyons Station has been recognized with a plaque at Eternal Valley as California Registered Historical Landmark No. 688.